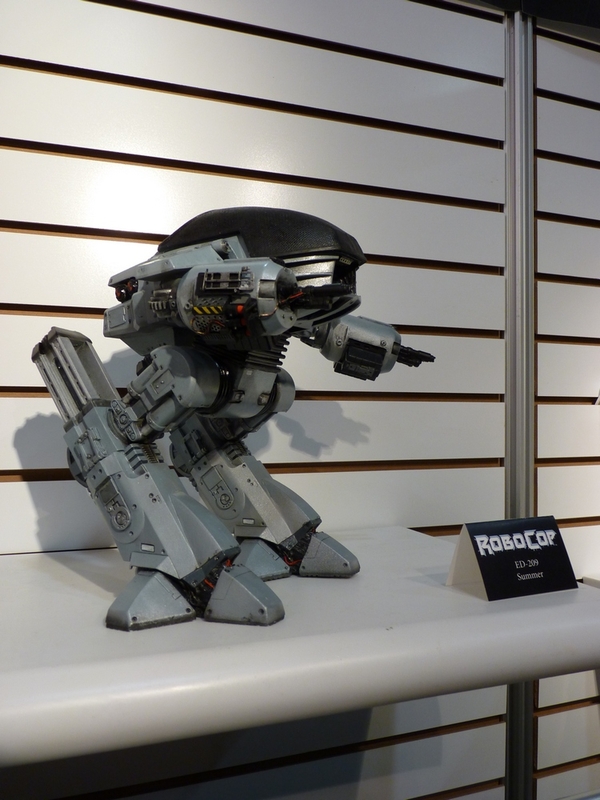 You are here: NECAOnline.com » Licenses » Movies » Robocop » Toy Fair 2013 – RoboCop ED-209 Deluxe Figure Revealed! 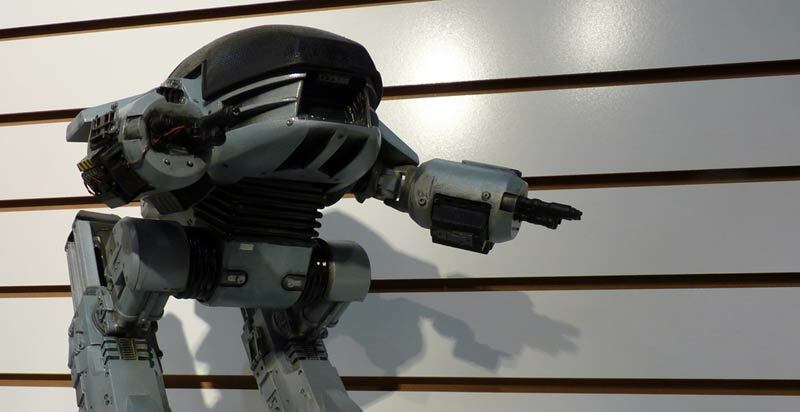 From the original 1987 Robocop, it’s the ED-209! All week we’re bringing you special looks from this year’s Toy Fair in NYC, and next up, it’s the future of law enforcement! Fully automated, the Enforcement Droid Series 209 (ED-209 for short) from RoboCop was to be the next wave in robotic policing. Well, we all know how that turned out. I am now authorized to use physical force! 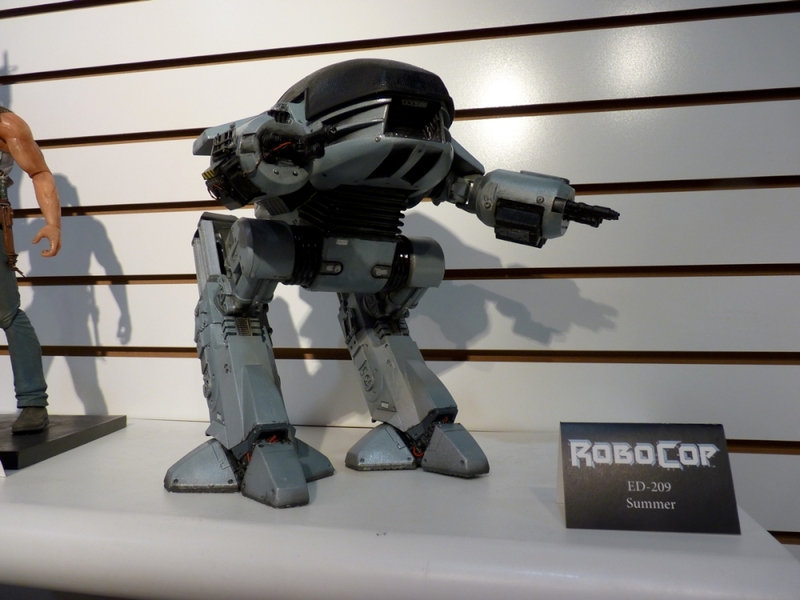 Like the placard says, you can expect the ED-209 this summer. 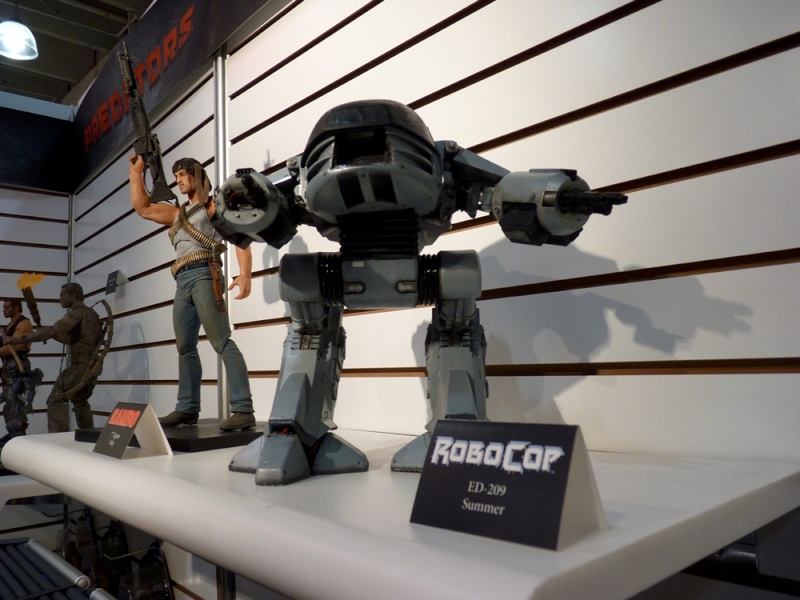 Stay tuned for more from RoboCop and from Toy Fair 2013!